Discussion in 'Outerwear' started by red devil, Jan 30, 2019. I am following up @Big J 's idea of a thread he came up with in the "Crazy !" thread. Very simple question, which things do you consider worthwhile spending more on and what expenses do you keep as low as possible? "Always buy the best you can afford", and "buy cheap buy twice". Doesn't mean i always go for the most expensive, but i rarely go for the cheapest option, unless it happens to be the best option. navetsea, dannyk, Peacoat and 3 others like this. Salatape, Guppy, Dm101 and 6 others like this. -shoes (chuck taylors and a pair of desert boots) no work boot inspired foot misery for me sir. -any turkey substitute (bacon, pepperoni, hot dog, etc). TheMarriedHermit, Salatape, Phil Silv3rs and 12 others like this. Besides the obvious stuff we love to talk about around here...Food, coffee, any kind of eyewear, furniture, appliances and electronics, tools, your bed, traveling, experiences (for instance you probably don’t want to go cheap when bungee jumping) and pretty much anything that is essential to your job. Probably forgetting a bunch but I agree with @Carlos840...if you can afford it buy the best quality you can. dannyk and ton312 like this. Dm101 and ton312 like this. Clothes that I know are quality and will last me a while but I'm trying to have as little of it as possible. Food, as in ingredients. I don't eat out much (or at all) but I'll buy myself the best brand of coffee the store has. House appliances like a washing machine, etc. I'd take these things for granted but when one dies, I feel like I've been thrown back to the stone age. In a way, that's what happens. Dog food. Only the best. Electronics - Phones, computers, TV's, etc. Cheap jeans seem to last longer than a new cellphone. I won't buy "gadgets" of any kind. I won't buy cosmetics. One soap is all I got and need. Um, I can't really even remember what else I'm even spending money on? TheMarriedHermit, Justhandguns, sweetfights and 2 others like this. I was raised not to be cheap when it comes to food. I like to buy fresh & good quality. I don't mind spending five times as much on meat, if the animal it comes from had a worthwhile life. I don't hesitate to spend more when it comes to gifts for friends and family. I spend more on boots, but I never have more than three pairs at the same time. Unlike with jackets, I have some self-control there. I spend very little on t-shirts, undergarments, jeans. I spend very little on rent for my flat as this has never been the center of my living and doing and I care very little for it other than it being a place to sleep. I don't care about electronics. I use a 5 years old phone and a 8 years old laptop. I don't care about cars at all, I'll drive the cheapest thing that safely gets me to where I wanna go. dannyk, Monitor, Carlos840 and 1 other person like this. Since becoming a coward and fearing my motorcycle I do have this ‘69 Chevelle in the “some day” list of things I’d love to pilot. ProteinNerd, roadking04, Dm101 and 4 others like this. I always try to find the 'sweet spot' where a given commodity is neither too expensive nor too cheap. I figure too expensive means you're paying for a name more than just the quality of the item, and too cheap means the item is rubbish. Of course this doesn't always equate in the real world. I've heard it often said never buy cheap shoes, but I do have a pair of $30 two-tone shoes that have lasted me 15 years, are still in great shape, look good and are extremely comfortable! So I opt for mid-range as much as possible. ProteinNerd, Edward and navetsea like this. sweetfights, Benny Holiday, Monitor and 1 other person like this. 'Cheapest option' is probably too strong. Most people go for affordable rather than cheapest and will find deals so that cheapest isn't necessarily nastiest. I don't spend a lot of time comparing prices of things. I have never spent money on clothing and come from an era when you could find unbelievable quality at thrift shops. That's what brought me here. For the record, these days I can afford to buy much better gear than I do but I don't make clothing a priority. It helps if you have little or no interest in things. Like Junkie I have no interest in cars and rarely drive mine (must check to see if it is still n the garage); no interest in electronics. I have never been into food and I don't drink alcohol. I own my own place and may buy another for an investment but I don't even have much furniture. I hate clutter. I have bought and been given high end items in the past and I have only sometimes found a link between high price and durability. My cheap items generally perform just as well. You just need to pick your stuff carefully and price may not be the important part. AldenSyd, Benny Holiday and navetsea like this. 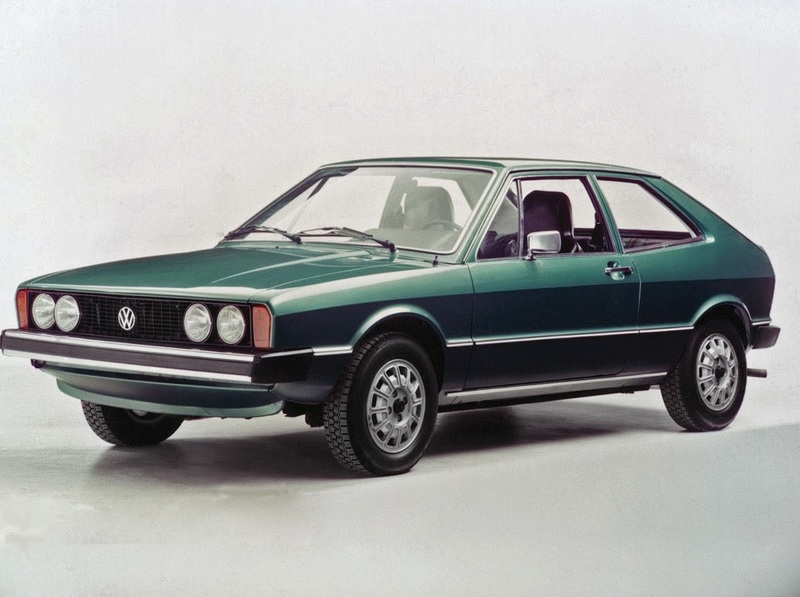 I love muscle cars and vintage Harley's and all that but the only car I'm truly and really in love with is a 1970-whatever VW Scirocco. And that's the one I'm buying as soon as one appears where I am. miglan30, Peacoat, Colin G and 7 others like this. I’ll spend more on clothes. Pants, shoes, shirts, hats. I wear clothes almost everyday. When i put on something nice it makes me happy. Therefore i get some happy time every day. I’ll gladly pay more for food and beverage but i’ll say, and guess that many will agree, that some of the best meals I’ve had came in under $20 (i’m talkin bout you tacos). I’m completely disinterested and will spend as little as possible on tech and gadgets. Until last month my tv was very small and very old. I only replaced it because my eyes are getting old too and it was impractical to move the furniture closer. I bought an expensive car once. Never again. Total waste for me. I spend all of my car time stuck in traffic and angry. I just can’t equate a car to happy. Benny Holiday, sweetfights and ton312 like this. Had to think for a while on this one, it's really about where I see value and where I don't... Let's take restaurants I like to eat well but am not interested in the setting. Case in point, I am not convinced by Michelin ratings. Lifestyle, occupation and location are key determinates of spending. I avoid carbs or sugar so fine dining is useless to me. I live near great public transport, just minutes from the city center so I don't need a car. I don't need to dress for work so I have no need for well cut suits, etc. I spend all of my car time stuck in traffic and angry. I just can’t equate a car to happy. Spoken like a true Chicagoan. I understand. I’m an Edens/94 guy myself but have to traverse the Ike/290 on occasion. None of it equates to happy. Unless it’s early Sunday morning and I can get to my moms house in Westchester in 20 minutes. I can't think of anything else significant I splurge on besides jackets. I'm sure time will change that. One day I plan on a really nice leather satchel. Well..I may be a little different than some here. I've enjoyed many sports cars over the years. Several new Vettes and other two seaters plus traded 4x4 pickups every few years while still working for GM for thirty three years and also took trips on my Harley during the summer. I do love good food and have several restaurants as favorites yet not really expensive, just gems I've discovered along the way. I retired early nineteen years ago after paying off my home and cars. I also enjoy nice clothes and have a collection of western boots as well. Then there's the leather jackets. I do love to travel and seem to most often head to a relaxing powdered sugar beach with emerald blue green water somewhere. I put years in making a living with a job that was more of a hassle than enjoyable and figured I'd make an effort to seek out some of life's pleasures....to me. I now drive a big comfortable quiet car with a good sound system. Oh but I'm not techy. I've never even had a cell phone and have no desire for one. Hey I enjoy a variation of places, things and experiences of life and like they say 'you only go around once'. Beck Ho, Benny Holiday, torfjord and 7 others like this.